Our design process is deeply rooted in the principles of woman-centric design; designs that cater to the expectations of the female home buyer. Through the woman-centric approach to design, we create spaces that satisfy the needs of de-stressing, flexibility, entertaining and storage in luxury custom home development. With a focus on the aspects of storage and flexibility, the spacious floor plan of the 4,598 square foot McAllister offers flexibility in design and endless customization opportunities for your new Iowa home. The 5 bedroom, 5 bath McAllister plan make it ideal for those with larger families and offers ample privacy and plenty of amenities for everyone. As Iowa custom home builders, we work with many families that are looking for designs that incorporate storage solutions to keep clutter out of sight. The ample storage opportunities available throughout the McAllister will make sure everything has a place. The large walk-in pantry in the kitchen provides tons of room to organize all your cooking essentials and ensures you have enough space to keep your pantry must-have items on hand. The busy schedules of many families require an area of the home where you can just drop books and backpacks and go as you come in from school and head out to soccer practice. The McAllister was specially designed for families on-the-go. The back entrance of the home creates a room perfect for storing backpacks and briefcases, while the built-in seating area provides a place to remove and store shoes, empty your pockets and hang your keys. Just off the back entrance is an additional large storage space ideal for keeping holiday decorations and patio accessories out of sight but within easy reach. 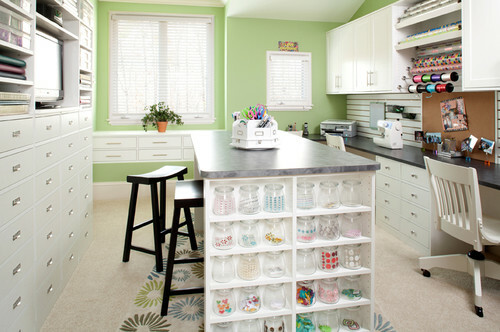 With so much smart storage throughout the McAllister it’s easy to keep your family impeccably organized. Inspired by the luxury of an upscale bed-and-breakfast home, the amenities of the Master Suite provide the ultimate in de-stressing. 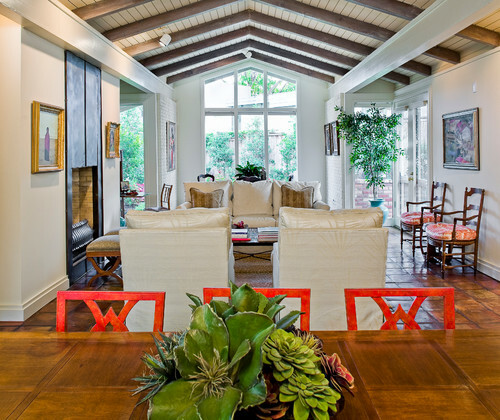 The 10’ ceilings and large windows create an immediate tranquil feeling. With large walk-in closets, storage and organization will never be an issue. And the over-sized tub is ideal for relaxing your cares away after a long day. The large, open design of the McAllister floor plan offers peaceful privacy for you and your guests, with large bedrooms are strategically positioned to ensure traffic and activities don’t collide. 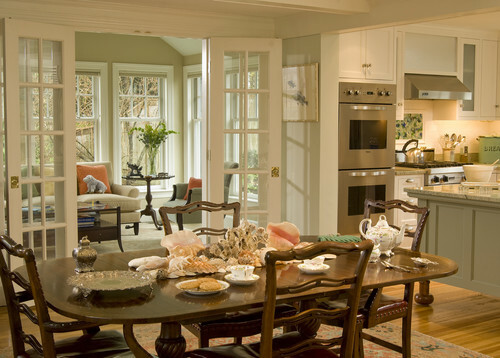 The McAllister floor plan caters to those who love to entertain. The free-flowing space of the media room, recreational room and bar provide the perfect location for holiday celebrations and weekend gatherings. 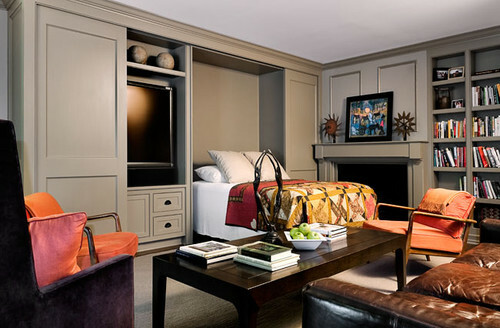 Located away from the main bedrooms and guest suite, you can feel rest assured that your guests’ activities won’t disturb the rest of the house, even during the most exciting Super Bowl party. The upper-level location of the exercise room and fourth bedroom offer a private retreat that can be used as a home office, a library or craft room. The flexibility of design offered by the McAllister makes the customization opportunities of your new Iowa home endless. Contact us and let us show you how to make this luxury floor plan perfect for your family. A core principle of Woman Centric Design is de-stressing; creating luxury homes designed for in relaxing and letting your cares wash away. Nothing quite beats a day of relaxation at the spa….except enjoying a spa-like experience in the comfort of your own home, anytime. For families that build custom new homes in Iowa, designing spa-inspired Master Suites is one of the perks of custom home design. 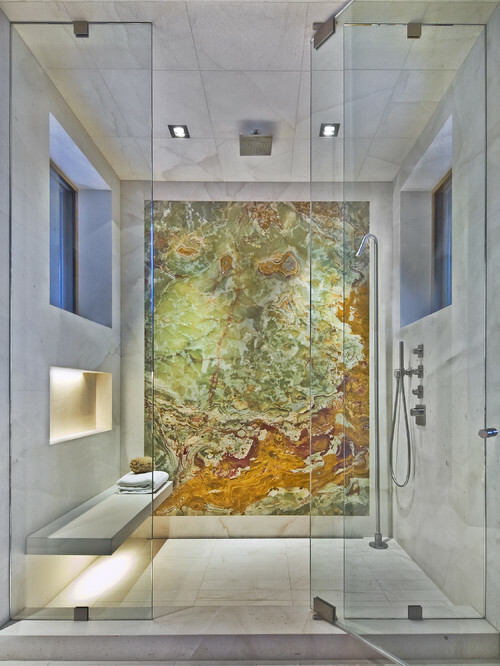 Building a custom home means anything is possible, from a Zen-inspired retreat to a deluxe spa shower. Designing your own spa-inspired Master Suite means that you can relax after a long day any way you want. Imagine the richness that a sunken whirlpool or tub adds to a home spa; truly the ultimate dream feature in dream home design. With temperature controls and jet propulsion, you can soak away aches and pains while unwinding in the tranquility of your own home. Breathe easy and settle back in sheer bliss when you take your home spa to the next level by incorporating the elements of the outdoors. Create a private patio with a lush garden and water feature to make your dream spa oasis complete. Saunas and steam rooms are well-known for their relaxing and de-stressing affects, but the traditional styles tend to be bulky and are often more than anyone would truly need for a home spa. Create your own personalized sauna for two with ergonomic seating, benches, and head rests. Incorporate glass into the entrance to create a more open feeling for the space, while including a second set of controls or an emergency off switch inside the sauna for easy control. 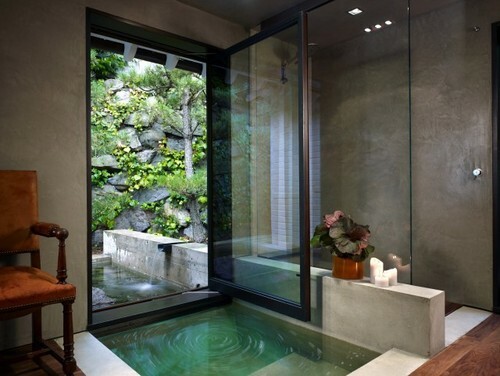 One of the most soothing characteristics of a spa is simple, elegant design. Bring that same feeling of luxury home by incorporating a fireplace, surround sound, and other custom elements into your retreat area. When you build a custom home you have the opportunity to create a space that is completely reflective of you, your needs, and your lifestyle. Whatever your idea of luxury is, we can design a home where you can live it everyday. Discover for yourself what’s possible. Download our custom home planner and get started creating your own dream home. 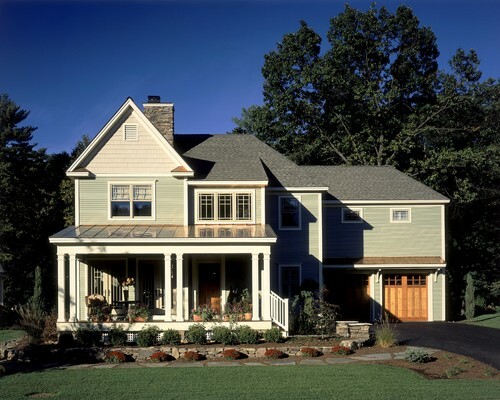 Building a custom home is an exciting endeavor and one that requires planning to create a home that accommodates your family’s needs now and in the future. So what’s the best way to create a home that’s flexible enough for all of your family’s life stages? One of the advantages of building a custom new Iowa home is that you can create rooms designed for flexible use. All Castle Pointe Homes are designed based on the four principles of Woman Centric Design: entertaining, storage, de-stressing and flexible living. Homes designed based on these principles will ensure that your home is built for your needs today as well as tomorrow. One of the most common life stages for families is how to adjust to an empty nest once the children have moved out of the house. Building a custom home with flexible design rooms makes it easy to transition kids out of (and sometimes back into) your home with ease. Secondary bedrooms that are designed with double doors or built in shelving can easily be converted into a home office, library or a crafter’s dream room. Secondary bedrooms that are designed with en suite baths become perfect guest or in-law suites. The den is one of the most flexible rooms in a new Iowa home. The versatility of a den allows for a study/extra-guest room combination, an enchanting reading nook or even a downstairs play room when kids are small. As children become teenagers you can convert the larger game room into an entertainment space with flat screen televisions, built in buffet serving area and a luxury bar. The key to building a custom home that will grow with you and your family’s ever changing lives is flexibility. By designing floor plans and rooms that are easy to convert as your needs change over time, you will give your house extended functionality and lower remodeling costs down the road. Create the new Iowa home of your dreams with our downloadable custom home planner. Include the amenities you know you need for today, and let us show you how to create the flexibility with your design for your needs of the future. When it comes to new homes in Iowa, it’s clear to see that there is more to a roof than simply serving as the protective cover for a home. 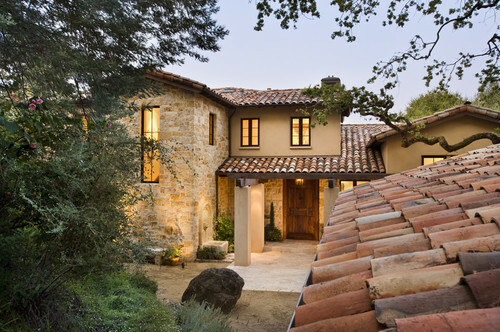 A well designed roof adds a sense of architectural beauty to a house; giving it personality and a unique quality. The roofing materials available to custom home builders in Iowa today provides an almost endless number of options for creating dazzling, yet substantial, custom home roofing designs. Although it boasts a single sheet appearance, metal roofing is actually a system made from individual metal pieces and tiles. When connected, the individual pieces create a powerful looking cover to a custom home. The individual piece aspect of metal materials allows for creative design options. The roof could be one single color or a mixture of colors and materials, such as copper and steel, for a more striking affect. The old world charm of metal roofing blends perfectly with the surrounding Iowa landscape. While truly stunning, metal is prone to high conductivity of heat, therefore incorporation of insulation into the roof surface of your new Iowa home will be required. In addition to providing protection and cooling, the insulation also provides a barrier for sounds, muting the sounds of heavy rain or falling items onto its surface. Terra cotta has been a staple in home design for centuries. Not only a beautiful accent to any home or pool house, terra cotta tiles are also fire-resistant, long-lasting, low-maintenance and aide in reducing a home’s energy consumption. When building a new home in Iowa, finding a roofing material that will stand up to the varying climate and weather conditions is critical. Not only is terra cotta a sturdy roofing material, but it’s far easier to replace its single tiles and maintain that many other roofing options. While beautiful and charming, corrugated reclaimed tin roofing is one of the most resilient roofing materials available. Looking for more of a farm-like or rugged feel for your new home in Iowa? 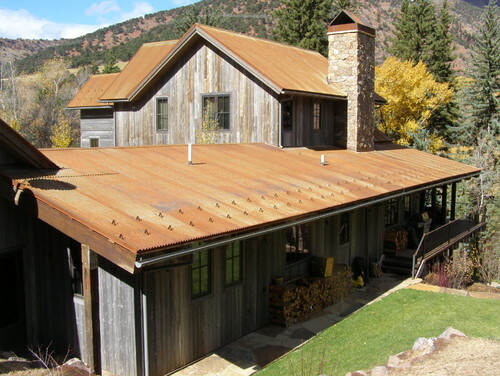 Then consider the old-world charm and modern protection provided by decorative reclaimed tin or wood roofing. 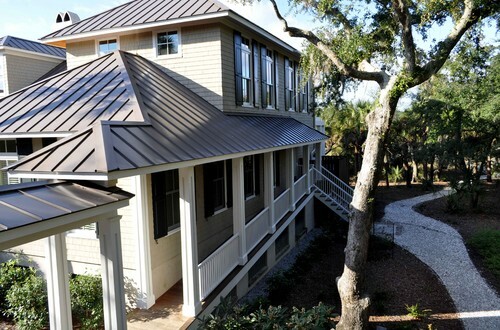 In additional to the instant character provided by a reclaimed metal or wood roof, the building material is also very eco-friendly; perfect for anyone wanting to maintain a true “green” feel to their entire luxury custom home both inside and out. If you can’t settle on just one roof style or material, then blend them into a roof design that is truly unique and oozing with charisma. Particularly affective on ranch style, cottage and Craftsman homes, the mixture of materials brings a home to life and adds instant curb-appeal. When you’re ready to create a luxury custom home with true charm and character from the inside to the roof top, contact us for your initial consultation and let us show you how to create the luxury custom home of your dreams.